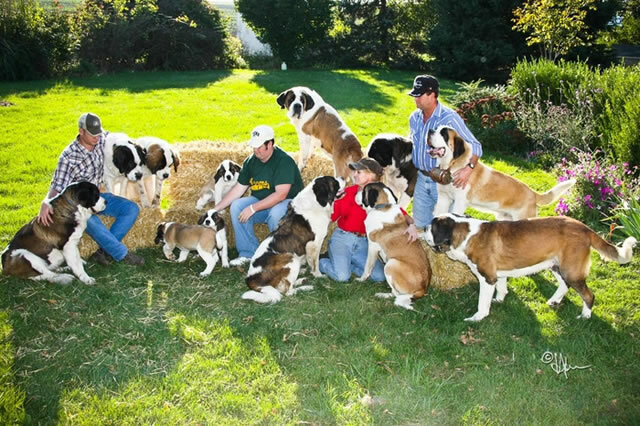 Raising quality Saint Bernard Puppies for over 2 decades! ~ We're excited to announce the anticipation of litters! Zeug came to visit and was wholeheartedly received by several of our girls! ~ Jackson surprised us with a natural mating to Cleo. ~ Deposits are transferable between litters any time. to pick up your puppy to cover the AKC registration fee. Please have his/her new name chosen by then. ~ See "Upcoming Litters" and "Puppies for Sale"